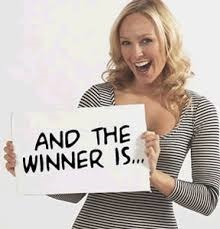 Winners, please make sure to keep your eyes on your inbox over the next couple of days for an email with subject header that reads, “iPad Insight Giveaway Winner” with information on your prize! I want to extend a Thank-You to all of our readers who joined in on the fun this week. 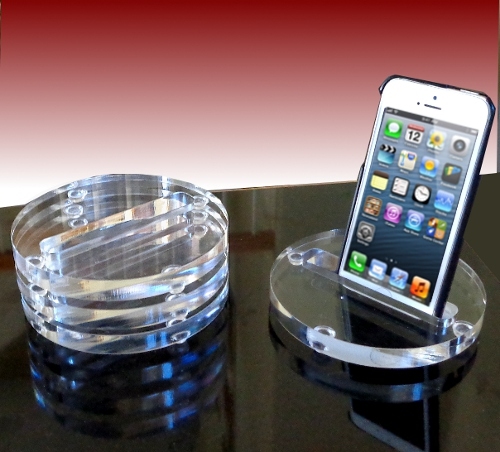 In addition, I want to extend a special thanks to Michael at newPCgadgets for these awesome Acrylic Smartphone Coasters! As some of you may have already noticed, iPad Insight has a fresh new look today. The site’s design hadn’t changed in a number of years and it was time for a refresh. The new theme we’ve chosen highlights more featured posts, consolidates our site logo and navigation bar areas, and works beautifully on the iPad and mobile devices in general (as you’ll see any time you switch to the desktop theme on your devices). It also offers a cleaner look all round. We’ve only just made the final theme changeover late last night – so please bear with us as we iron out some kinks with it over the next few days. I hope you’ll like the new theme and that it will help you to continue enjoying our insight on all things iPad. Congratulations Faisal and please keep an eye on your Inbox and spam folders – as I’ll be emailing you very soon to ask for your shipping address to send that iPad to. Thanks to all of you who commented on the post – there were lots of excellent comments and many that are helpful and useful in terms of what you’d like to see more of and where you’d like to see us improve. 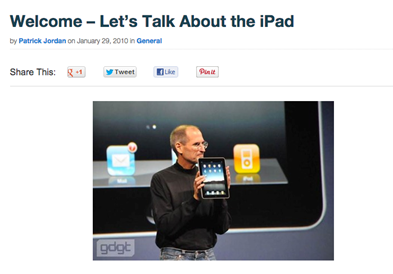 On January 27, 2010 Steve Jobs announced the original iPad. On January 29, the first post on this site was published – there’s a snippet of it in the image above. Wow. There’s that saying about how time flies when you’re having fun. I guess I’ve had way too much fun then, because these 5 years have flown by. I was fascinated by the iPad right from the start, and had a feeling it might be my ideal mobile device – and I was already a big-time mobile geek. It lived up to and exceeded all my expectations – and I’ve enjoyed the heck out of using it, singing its praises and showing off its magic to family, friends, work colleagues, and anyone who would allow me to in person. Needless to say, writing about it here on a daily basis has been a great, great pleasure. 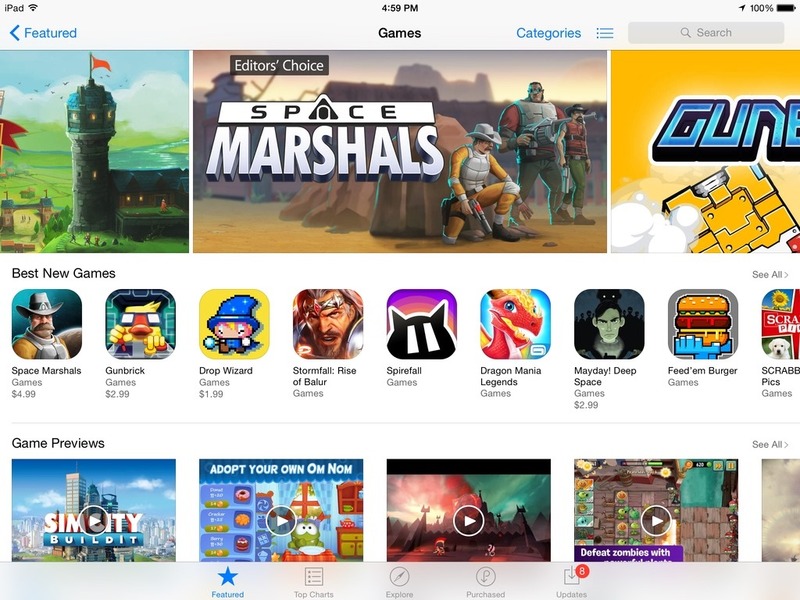 Love iPad Games? Want to Review Them Here? So it looks as if we’ve got a bit of a job opening here at iPad Insight. Well, a volunteer job anyway – ideally suited for somebody who loves iPad games and loves telling other people about the games they love. 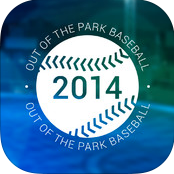 As in, we’d love to find one or two volunteer game reviewers to cover iPad games here. Although this is an unpaid gig, it does have a few notable perks: promo codes for games you review and a chance to build up your reviewing profile on a well-known and respected site for starters. — The Obvious: passionate about gaming, and mobile gaming, iPad gaming in particular. 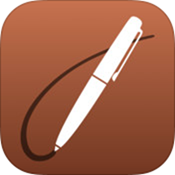 — Gift of the Gab: strong writing skills and perhaps a flair for video reviews too. Some online writing experience is also something we’d like to see. — Fundamentals: you have to be solid on grammar – no YouTube comments level writing styles accepted. — Happy to work with our small team here. That’s about it. If it sounds like you’re a great fit, send us an Intro email to contact AT ipadinsight.com. I’ve got an iPad Insight site milestone to share today. Well, actually I had meant to look out for this number and mark it, but I goofed and I’m noting it a little late. In any case, this site has now had more than 25 million page views. 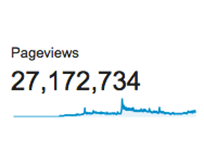 In fact, as you can see in the screencap above, it now has over 27 million page views. That’s a big number for a niche site single-focused on the iPad. It still feels a little unreal to see that number, knowing how this site started from ground zero sort of thing. I’d like to say a big thanks to Thomas Wong, James Potter, Beth Elderkin, Henry Tourtillotte, Fareez Shuib, Sheila Bigel, Teresa España, and Alicia Bankhofer for the articles they’ve written for the site. And of course a huge thanks to all of you who visit the site and read our articles, on your iPads, desktop PCs, and whichever other devices you use to view our content. There would be no point in, and certainly no joy in, doing this without you. Thanks a million, or even 27 million! UPDATE: All 5 promo codes gobbled up. Thanks for the excellent productivity app suggestions below. Codes to follow for the 5 posters. If you’ve read the Notes Plus review and you are eager to try the app out, the developers of Notes Plus have kindly given us 5 promo codes. To get one of the free promo codes, simply reply to this post with the top 3 productivity apps that you use on your iPad currently. Please make sure you comment with a valid email address so the code can be sent to you. The first 5 valid responses will get a code for Notes Plus. Good luck! 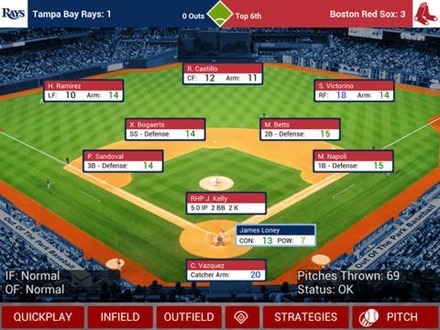 Thanks to all who participated in our recent contest to win free promo codes for the excellent iOOTP Baseball 2014 Edition for iPad. AlienInCA, Vernitis, and Paul Redmond. Winners, please check your Inboxes and spam folders, as we’ll be sending out your codes very soon.